Eylea (aflibercept) is made from a human antibody fragment. It works by keeping new blood vessels from forming under the retina (a sensory membrane that lines the inside of the eye). In people with a certain type of eye disease, new blood vessels grow under the retina where they leak blood and fluid. This is known as the “wet form” of macular degeneration. Eylea is a vascular endothelial growth factor (anti-VEGF) drug – this is a drug class that reduces the formation of abnormal blood vessels that damage the retina. Other anti-VEGF drugs include Lucentis (ranibizumab), which is approved in the UK for patients with DME and impaired vision. Eylea, the trade name of aflibercept, is recommended as a potential treatment for some people with diabetic macular edema (DME). DME is a form of diabetic retinopathy that occurs when abnormal blood vessels grow on the surface of the retina, leading to vision problems. Eylea is used to treat wet age-related macular degeneration. It is also used to treat swelling in the retina caused by a blockage in the blood vessels. Eylea is also used to treat diabetic retinopathy, an eye disorder in diabetics that can lead to a buildup of fluid in the retina and cause blindness. Patients are given a single 2mg injection of Eylea every month for five consecutive months, followed by one injection every two months. After the first 12 months, this treatment interval could be extended depending on its success. This decision would be based on the effect the drug has on a patient’s vision. Treatment with Eylea should be discontinued if the patient is not receiving any benefit. Aflibercept belongs to the class of medications called antineovascularization agents. These medications work by preventing the growth of new blood vessels. It is used to treat neovascular (wet) age-related macular degeneration (AMD). AMD is a deterioration of the macula, a part of the retina which is responsible for sharp, detailed vision. “Wet” AMD occurs when new blood vessels grow around and behind the macula. Aflibercept works by preventing the growth of these new blood vessels in the eye. any type of bacterial, fungal, or viral infection in or around your eyes. It is not known whether Eylea will harm an unborn baby. Tell your doctor if you are pregnant or plan to become pregnant while using Eylea. Use effective birth control to prevent pregnancy before your first dose of this medicine. Keep using birth control for at least 3 months after your last injection. It is not known whether aflibercept passes into breast milk or if it could harm a nursing baby. You should not breast-feed while you are using Eylea. Eylea is given as an injection into your eye. Your doctor will use a medicine to numb your eye before giving you the injection. 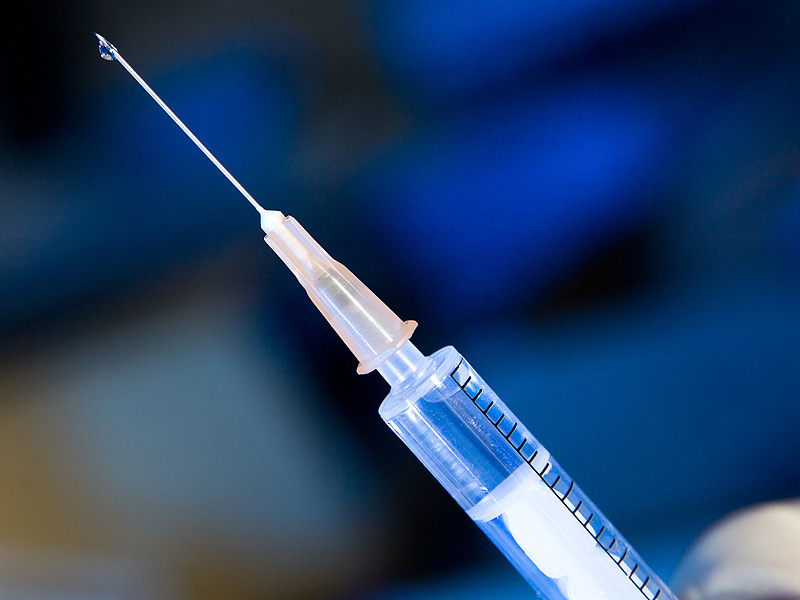 You will receive this injection in your doctor’s office or other clinic setting. Eylea is usually given once every 4 weeks for the first 3 months, and then once every 8 weeks. Follow your doctor’s dosing instructions very carefully. Get emergency medical help if you have any signs of an allergic reaction to Eylea: hives; difficult breathing; swelling of your eyes, face, lips, tongue, or throat. What other drugs will affect Eylea? It is not likely that other drugs you take orally or inject will have an effect on Eylea used in the eyes. But many drugs can interact with each other. Tell your doctor about all medicines you use. This includes prescription, over-the-counter, vitamin, and herbal products. Do not start a new medication without telling your doctor. How does Eylea compare to other drugs? In March 2016, a two-year study found that Eylea outperformed Avastin (bevacizumab) in treating DME patients with moderate or worse vision loss. Avastin is a much cheaper drug than Eylea, but it is not recommended by NICE as a DME treatment – although the National Eye Institutes reports that the drug offers similar benefits to Eylea for DME patients. Avastin has not been approved because Novartis, the makers of the drug, currently make more profit from the other anti-VEGF drug they make, Lucentis. Eylea and Lucentis were compared in a 2015 study in treatment-naïve patients with neovascular age-related macular degeneration (nvAMD), but both were deemed to have similar effects. The recommended adult dose of aflibercept is 2 mg (0.05 mL) given by intravitreal (into the eye) injection every month for 3 months, then every 2 months afterwards. It must be administered by a doctor who is experienced in administering intravitreal injections. Very careful handling of this medication is required. It is always given under the supervision of a doctor in a hospital or similar setting with access to sterile equipment for preparation and administration of this medication. It is important this medication be given exactly as recommended by your doctor. If you miss an appointment to receive aflibercept, contact your doctor as soon as possible to reschedule your appointment. Store this medication in the refrigerator, in its original package, protect it from light and moisture, and keep it out of the reach of children. Glaucoma: Aflibercept may cause an increase in the pressure in the eye, possibly causing symptoms of glaucoma to worsen. If you have glaucoma, discuss with your doctor how this medication may affect your medical condition, how your medical condition may affect the dosing and effectiveness of this medication, and whether any special monitoring is needed. Vision changes: Intravitreal injection of aflibercept may cause temporary changes to vision. Avoid driving, operating machinery, or performing other similar tasks until your vision returns to normal. Breast-feeding: It is not known if aflibercept passes into breast milk. If you are a breast-feeding mother and are taking this medication, it may affect your baby. Talk to your doctor about whether you should continue breast-feeding. Children:Wet AMD does not occur in children or adolescents. As a result, the safety and effectiveness of aflibercept has not been determined for this age group. The intravitreal injection procedure should be carried out under controlled aseptic conditions, which include surgical hand disinfection and the use of sterile gloves, a sterile drape, and a sterile eyelid speculum (or equivalent). Adequate anesthesia and a topical broad-spectrum microbicide should be given prior to the injection. Immediately following the intravitreal injection, patients should be monitored for elevation in intraocular pressure. Appropriate monitoring may consist of a check for perfusion of the optic nerve head ortonometry. If required, a sterile paracentesis needle should be available. Following intravitreal injection, patients should be instructed to report any symptoms suggestive of endophthalmitis or retinal detachment (e.g., eye pain, redness of the eye, photophobia, blurring of vision) without delay. Each vial should only be used for the treatment of a single eye. If the contralateral eye requires treatment, a new vial should be used and the sterile field, syringe, gloves, drapes, eyelid speculum, filter, and injection needles should be changed before EYLEA is administered to the other eye. Avastin, Eylea and Lucentis – What’s the Difference? Bilateral Temporal Lobe Hyperintensity (BTH)?